Wabnetic IT Capital LTD is a company that uses state-of-the-art IT technologies to develop artificial intelligence. We have gathered the best specialists in artificial intelligence and the development of solutions that it can provide. Until now, for decades, artificial intelligence has been used for entertainment, and today the company literally turns everything upside down. The main goal of Wabnetic IT Capital LTD is to make artificial intelligence 100% useful. Professionals think through the strategy for the development of artificial intelligence and study all the slightest possibilities of using it in real life. This will allow in the future to solve household problems or even those that are critical for human life. Already, in Israel and the United States, the most complex operations using artificial intelligence are being carried out, and delivery by drones is no longer a legend of the distant future. The company attracts investment in artificial intelligence and is willing to pay generous dividends to all investors. Make the greatest contribution to your future by touching it yourself! 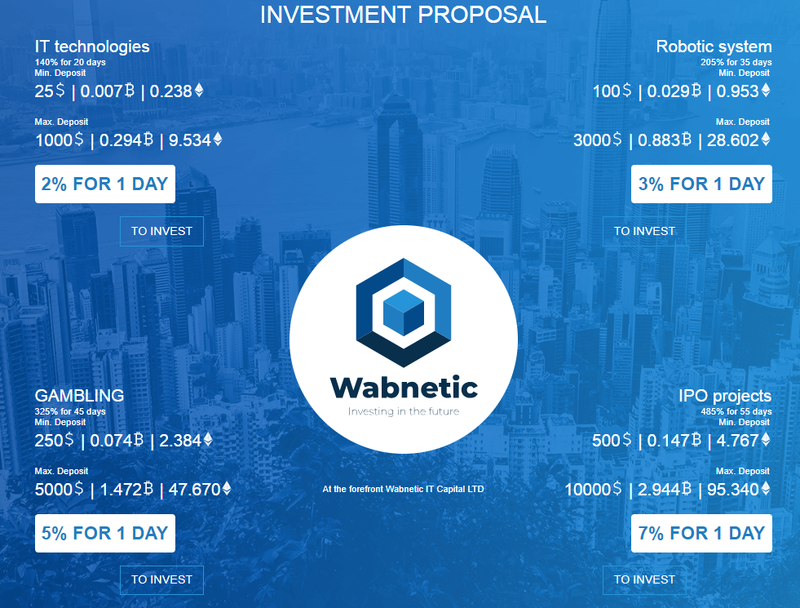 At the moment, Wabnetic IT Capital LTD has already received more than 14, 000, 000 dollars from investors from Switzerland, USA, Russia, Australia, Malaysia and China. Investments will be accumulated for the best possible distribution among team members and attracting new specialists who will help create real solutions on the foundation of using artificial intelligence. 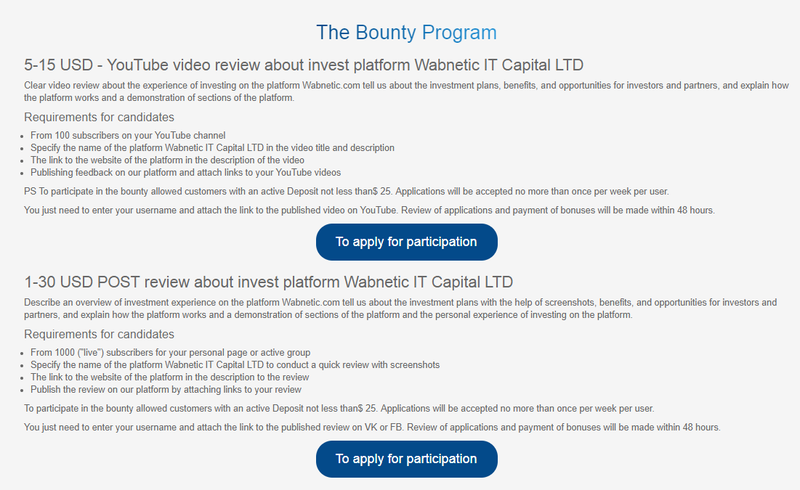 It is they who will bring profit to Wabnetic IT Capital LTD, which will own all patents for the inventions of these solutions. Memo : Shopping Cart Payment. Order 786291. Memo : Shopping Cart Payment. Order 786310. Sent Payment 50.00 USD to account U12456834. Memo: Shopping Cart Payment. Order 786312. 12.02.19 16:09	Transfer	Sent Payment: 50.00 USD to account U12456834 from U2666///. Batch: 246262523. Memo: Shopping Cart Payment. Order 786539. Memo : API Payment. 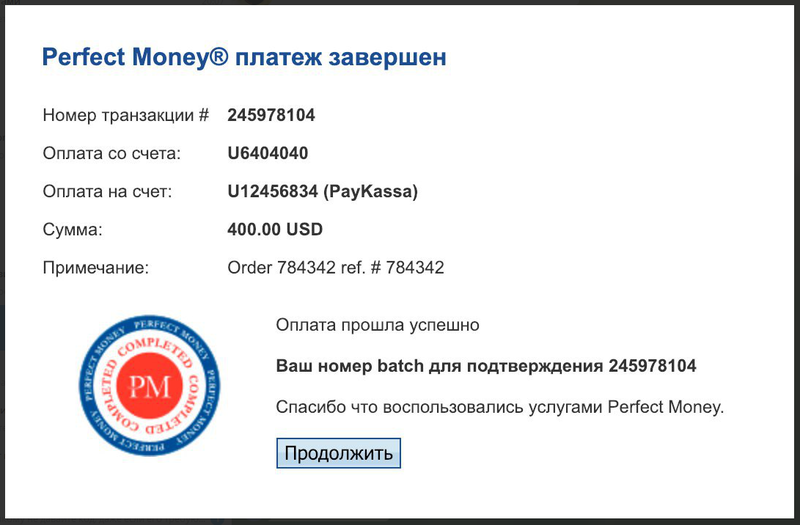 PayKassa.pro 787066.